E7 Harvesting at the Homestead ALREADY? Really? I can't believe it but YES, we are already getting loads of food from the Chingona Homestead! Today we'll go over what's already being harvested and what we've planted that will take more time. E6 Pressure Cooker: Friend or Foe? So what do you use a pressure cooker for anyway? E5 Tiny Houses and now Tiny Farms? The"tiny house" movement has swept the nation. Today we look at the idea of "tiny farms", particularly in urban settings. Homesteading myths and tips for achieving the goals of homesteading without buying a pitchfork or milking a goat. Honoring the memories of those we love with how we live our lives. PLUS a podcast recommendation! In which we discuss how we let other people define who we are and learn how to make some killer sandwich bread. 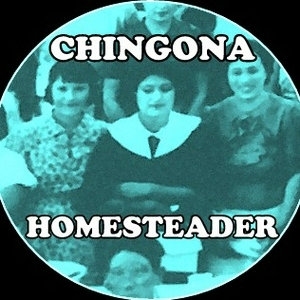 Introducing the Chingona Homesteader podcast! • What we'll be covering this season.